When you give birth to your child your world stops for a second: this is a day you will never forger. But after that life will go further with full speed, with feeding, cuddling, changing diapers and soaking. you will be very busy. It would be very nice if you could rely on good products while doing your daily care ritual. When you give birth to your child your world stops for a second: this is a day you will never forger. But after that life will go further with full speed, with feeding, cuddling, changing diapers and soaking. you will be very busy. It would be very nice if you could rely on good products while doing your daily care ritual. Like this bottle warmer. an ideal and versatile warmer you can use at home or anywhere else. inside this bottle warmer fit bottles of various sizes and also cups of food. 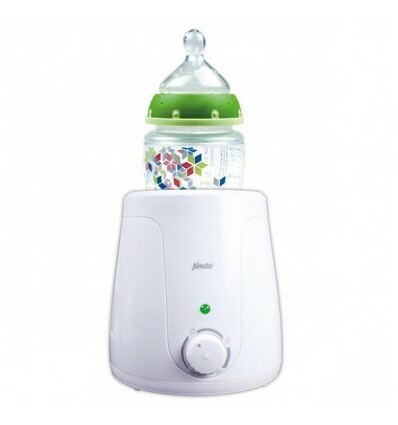 So while your kid drinks from the bottle, if it is milk or bottle feeding or food from cups, you can always trust the Alecto bottle warmer. Everyday, with every meal. - You heat the food or drinks evenly until you get your desired temperature. - The device is easy to use. Even with one hand for when you have your child on your other arm, because they like to watch. - The bottle warmer is suited for small and large bottles. 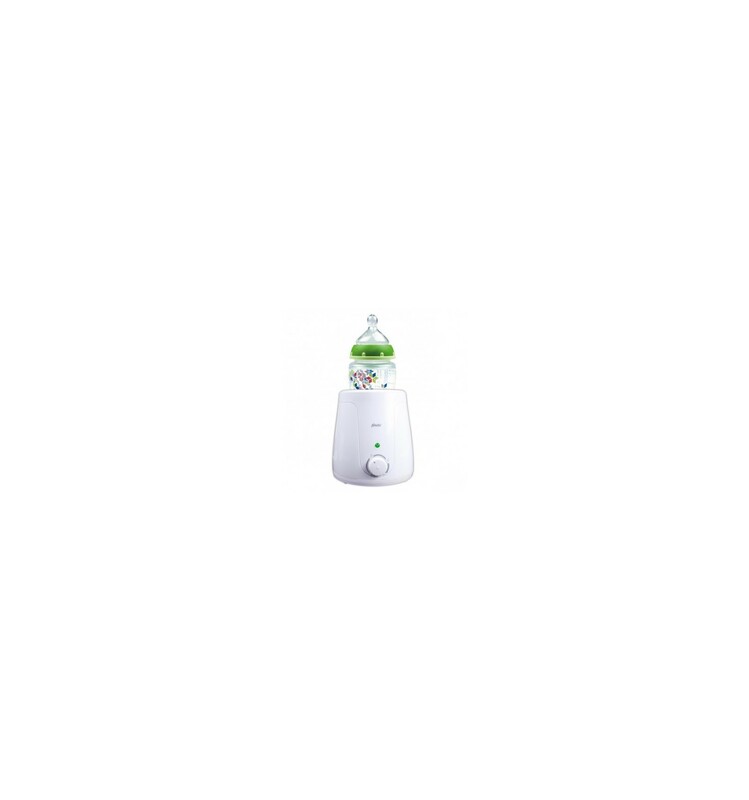 - When the bottle or cup is done warming up you will hear a peep sound and a LED will turn on. - You can set the temperature to stepless. The bottle warmer is very easy to use and that does not come for nothing. When your little one is hungry you want a nice and fast meal on the table, on the desired temperature. Litteraly in a jiffy, without a difficult manual. It works as follows: you put water in the bottle warmer, put in the bottle or cup, set per indication that the food or drinks is evenly heated. And it's time to fill the belly! With Alecto you choose a sophisticated and user-friendly product of high quality.